For thousands of years, the Fellstone region was uninhabited, with the exception of the tiny Fel Village, an ancient fishing village nestled between the shores of Fellstone Bay and the Great Fel. During the reign of Maghorn I, about three hundred years before the Fellstone Tales, the Fellstone Region was chosen to be the site of one of the six great Royal Administrative cities. Over the centuries, Fellstone City became a mighty industrial center, and bustling seaport hub serving all of Andaran. 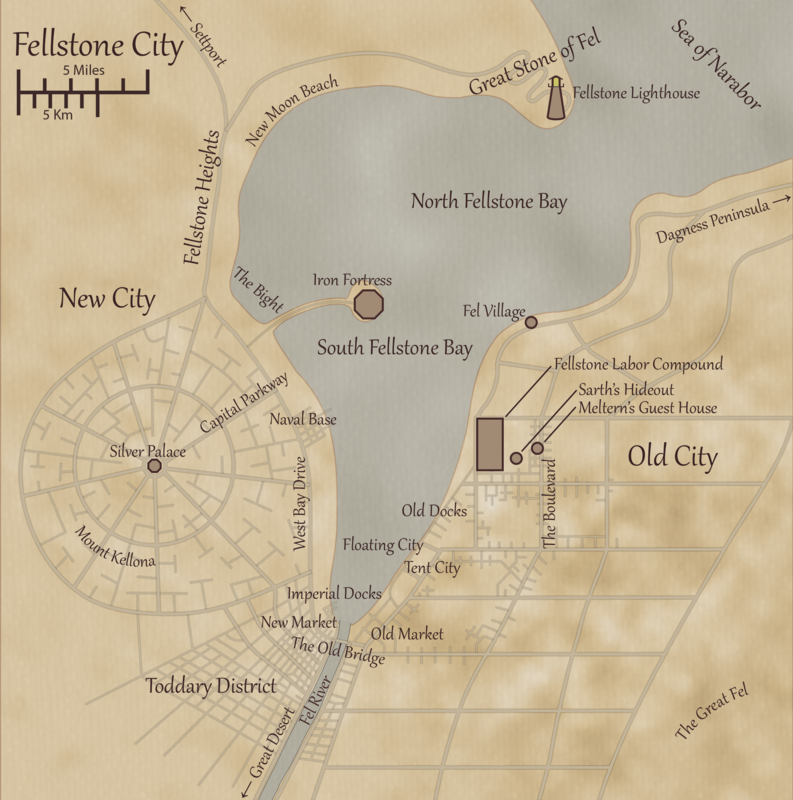 Fellstone City took its name from the Great Stone of Fel, a huge monolith across the narrows from Fel Village, where the Sea of Narabor becomes Fellstone Bay. 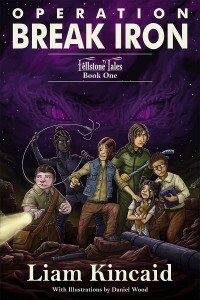 The Fellstone Lighthouse sits atop the Great Stone of Fel. At the time of the Fellstone Tales, Fellstone City has been Emperor Pallador’s capital for a hundred years. Pallador and his Seph associates enjoy hunting in the Great Fel to the east, and basking in the sun at their retreat in the Great Desert to the west.